Flower basket (hanakago) with handle. Plating of extremely thin clear bamboo strips. The bottom and handle of wrapped rattan. 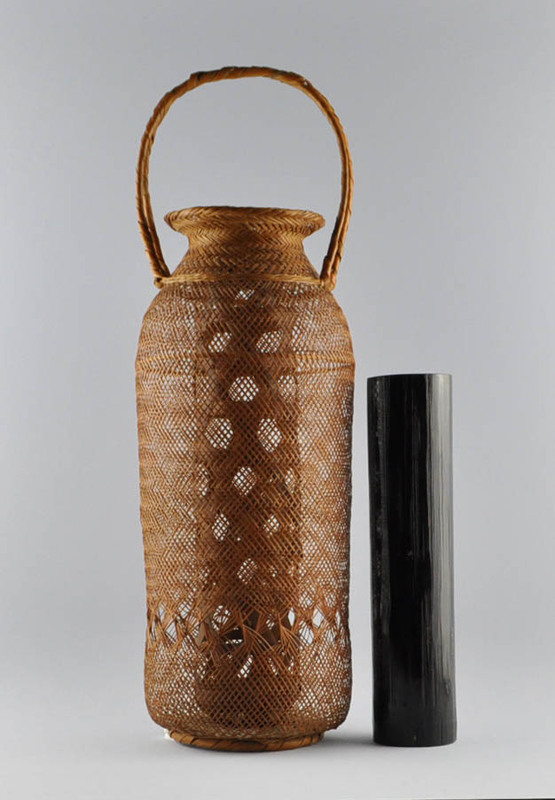 cut from a long cylinder of bamboo, the exterior surface smoothed and faceted, then lacquered dark-brown. First half of 20th century.